Launched in 2016, Lucky247 Casino is an exciting new playing arena for the ardent gambler. A Maltese operator, Viral Technology N.V. runs this. It holds three licenses from the UK, Curacao, and Malta. All actions are through Lucky the Leprechaun who keeps you supplied with gold coins for various rewards you get. Other characters include Doctor Scatty who looks after all your stats and General SignUp who take you through the boot camp of the casino and Baroness Campaign who will introduce you to all promotions available on site. It is a wonderfully, diverse gaming platform that packs more than 1100 games. This casino is popular in Germany and Sweden. You get a 50% bonus on your second deposit up to €500. Minimum deposit is €10 and maximum amount we may withdraw is €2000. These bonuses keep players coming back for more. You have a wagering requirement of 30x the bonus plus the deposit. You get a 25% bonus on your third deposit up to €500. 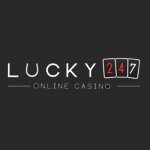 We have a plethora of games here at Lucky247 Casino. You find the names of all top game providers, including iSoft Bet, Microgaming, and NetEnt. We also find software providers like Endorphina, Nyx Interactive, and Ezugi. You have slot classics like Irish Charms, Dark Vortex, and Vikings Go To Hell. This is followed by Jumanji, Coins of Egypt, and Hugo Gold. Bar Bar Black Sheep, Copy Cats, and Motorhead are also big favorites with players. For those who live for Jackpots, there are many progressive jackpots such as Mega Moolah, At the Copa, and Major Millions. Top attractions also include Twin Spin Slot, Invisible Man Slot, Merry Xmas Slot, Gemix Slot, and Starburst Slot. Diversity is one thing most players look forward to. We have plenty of variety by way of card and casino games here. Check under the “Table” menu and you will find a list of table games including American and European Roulette, Pontoon, Craps, Caribbean Stud, Multi-hand Blackjack, and Baccarat. In this same list, you will games like Video Poker and Keno. More games include Let It Ride, Casino War, and Sic Bo. Then, we have Pai Gow Poker and Oasis Poker. All players can access games through the mobile phone. You can access the casino website using your mobile phone. You need not to download anything. Slots and casino games are in a convenient touch-based format. Ezugi brings you Live games such as Live Roulette and Live Blackjack. A few branded tables from Nyx offer you another selection of live casino games. You need to be a registered player to take part in the live games on this site. However, we do not have Live Poker in this list, which is a little disappointing. 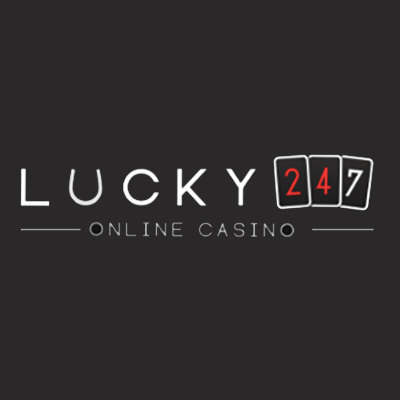 Lucky247 Casino deposit methods include most of the major credit and debit card payment methods such as MasterCard and VISA, and eWallets such as Skrill, Paysafecard, and Neteller. Maximum deposit is €20,000. Bank transfers – not offered. Credit/Debit cards – 3-5 days. You can withdraw a maximum of 30,000 euros a month. Withdrawal methods include Zimpler, Trustly, Skrill, VISA, Neteller, and MasterCard. We do not have 24×7 Live Chat phone support. This is a deterrent for many, but as long as you do not have problems, you will survive here. We have a helpdesk where you may register your complaints 7 days a week. Daily support agents come online at 10.00 AM and remain until midnight CET. If one needs to contact support outside these hours, they can fill in a form and expect a reply within 24 hours. Security is always a concern for players and administration of a casino. Security is ensured through SSL Encryption that is a standard for security for all online transactions. This will keep information of players and transaction secure from prying eyes. All games are audited for fairness.